How many teeth are in your mouth? Most adults have 32. Some only have 28 if they chose to have their wisdom teeth removed. If you have fewer than 28 pearly whites, your oral and overall health may be in danger! 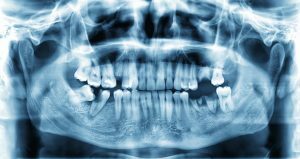 We’re not saying that just for dramatic effect; science and experience have proven time and again that not having a full set of teeth can have devastating consequences. Here, your dentist near Estero lists a few of the bad things that can befall people who don’t take steps to replace their missing teeth. The roots of your teeth and your jawbone depend on one another for support. When even one of your teeth is lost, it creates a hole beneath your gum line. Your body decides that since your jaw no longer has a job to do in that area, it doesn’t have to maintain your bones. That’s why many people who have been missing teeth for a long time notice that their jaw becomes weaker and changes shape over time. Your teeth aren’t permanently fixed in their places. They’re attached to your jawbone via ligaments, which allow the teeth to move slightly. When a tooth is gone, the resulting gap allows the surrounding teeth to drift out of place. They may even eventually fall out if they don’t have a strong support network to keep them where they belong. A balanced diet is essential for maintaining a healthy body, but without a full set of teeth, it can become difficult for you to enjoy all the fruits, vegetables, and proteins that should work together to keep you at your best. You can use supplements or pureed food to take in the vitamins and minerals you need, but let’s face it — it’s always preferable to dig into a juicy steak or a crunchy salad without worrying that you won’t be able to chew properly. Missing teeth may put you at an increased risk of developing gum disease. Not only can this lead to inflammation, pain, and bad breath, but it can also affect the rest of your body. Problems with the gums can lead to cardiovascular disease, dementia, preterm birth, and complications with diabetes. You and your prosthodontist near Estero can have a chat about your options for regaining a complete smile. While dentures and bridges are viable options for most patients, dental implants are often a superior option. They replace an entire tooth, including the root and the crown, enabling them to prevent pretty much all of the problems associated with missing teeth. Are you among the millions of people who are short a few chompers? Replacing your missing teeth is essential if you want to achieve optimum health! The team of four dentists at Pelican Landing Dental is interested in helping all of their patients achieve great oral health, whether that is through preventive care or dental implants near Estero. If you have questions about how you can once again have a complete set of pearly whites, please contact us at 239-948-2111.